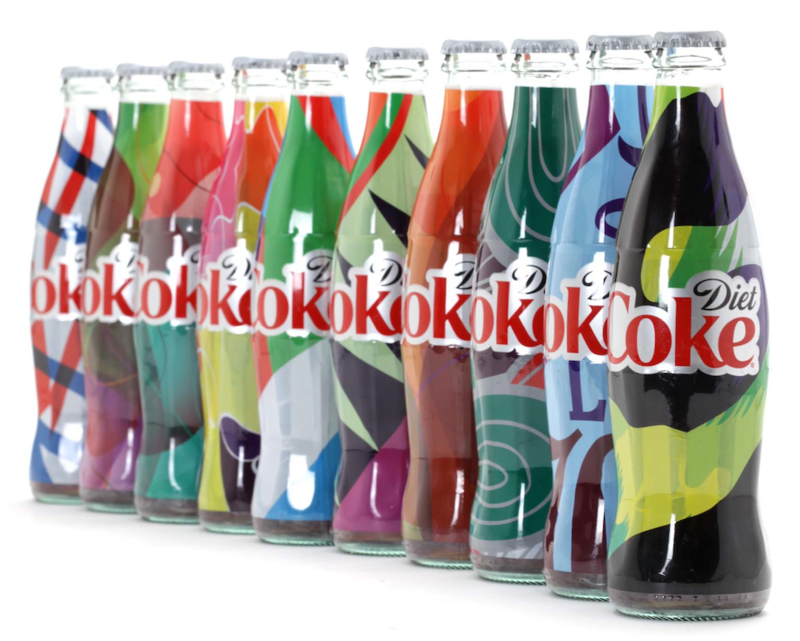 Following in the footsteps of Absolut with its 4 million of uniquely printed bottles in 2012, Diet Coke has also tapped on the automatic personalization trend, using an advanced programmatic printing algorithm. This month Coca-Cola Israel has launched a new marketing campaign “Stay Extraordinary” focused on individuality of each and every Diet Coke fan. To prove the statement, the Israeli Diet Coke marketers teamed up with the tech-savvy digital printing studio HP Indigo and production company Q Digital to print out two million shrink sleeve labels for the bottles of 3 sizes: 51 oz, 17 oz and 12 oz. Interestingly, the printing machine was pre-programmed to generate random unique designs for each sleeve. This campaign has was developed and produced in collaboration with the innovation agency Gefen Team—the same guys who helped Coca-Cola Israel set a custom-made 3D printing lab, where customers had a chance to be scanned and get a 3D-printed miniature version of themselves back in 2013. The advertising support was done by Tel-Aviv-based Dahaf. Diet Coke presents: Millions of one of a kind bottles from Gefen Team on Vimeo. Posted in Design, Marketing and tagged Coca-Cola, Diet Coke, Israel, package design, personalization, printing technologies. Bookmark the permalink.